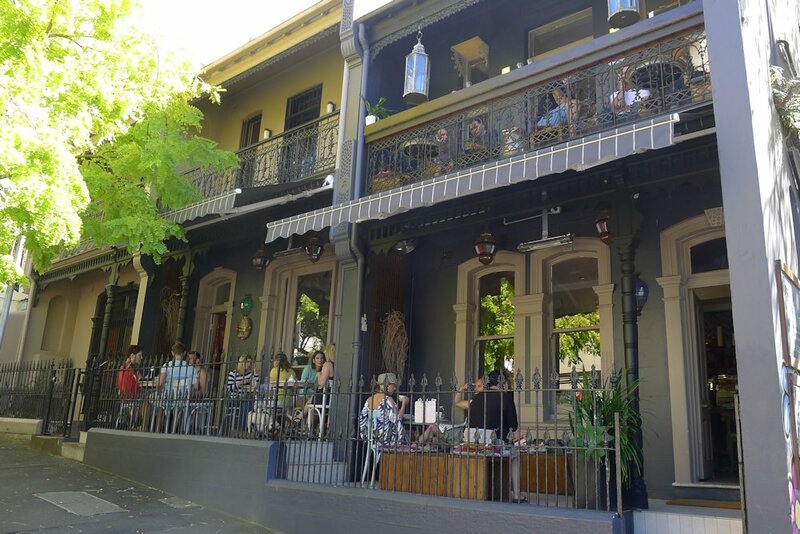 Two adjoining terraces in Potts Point have officially joined the list of one of our favourite breakfast spots in Sydney. 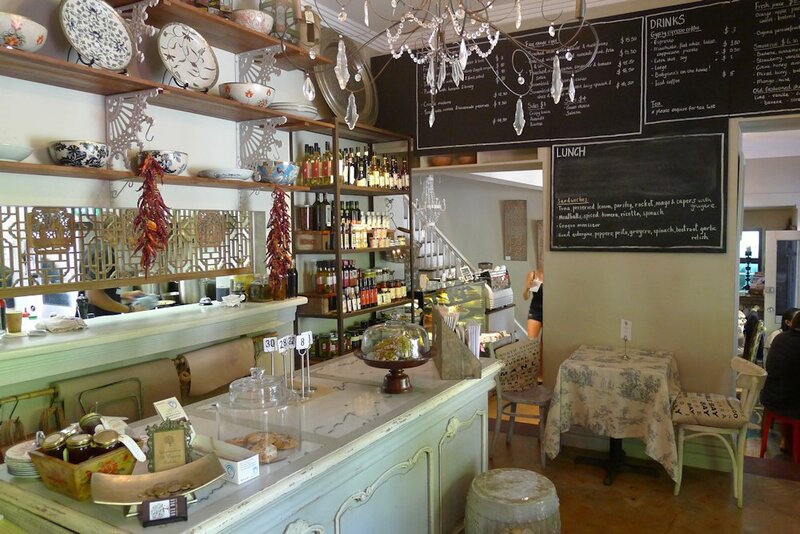 A love of food and a definite knack for interior design make Chez Dee immediately warm and homely. 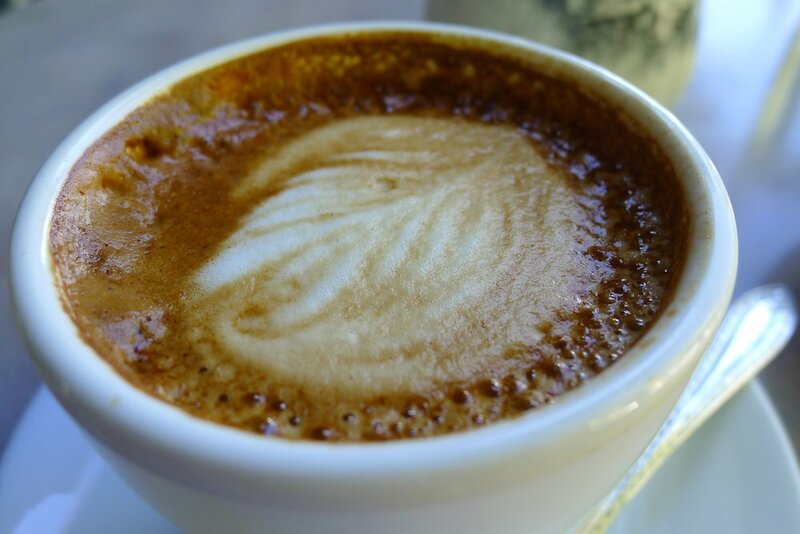 From the top-tier goods and home grown delights in the ‘grocer’ section to the small but distinctive menu to the all important caffeine factor, Chez Dee definitely needs to secure a position on your ‘to visit’ list. 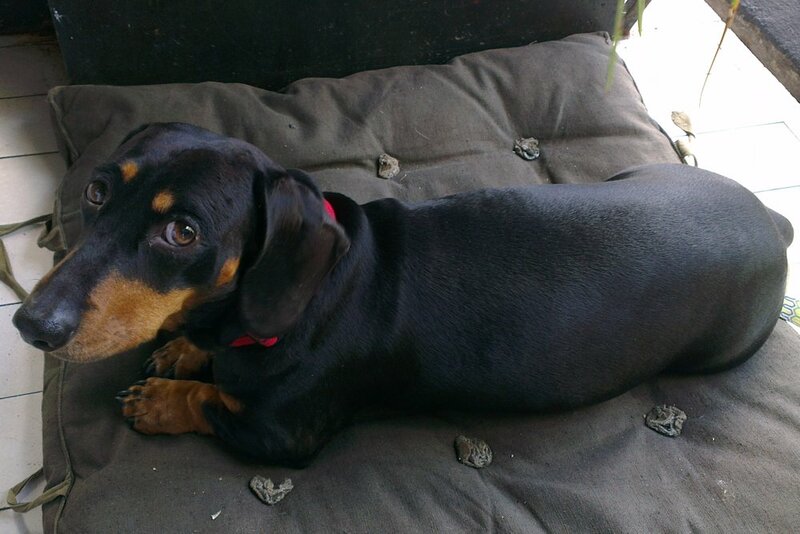 It’s also dog friendly to the point where Hugo even had a spot of his own! Depending on when you arrive, you may need to wait (while drinking coffee of course) if you require a particular table such as on the verandahs outside or the big table inside. There are also couches upstairs. They know their beans at Chez Dee and the coffee ($3.50) means business! 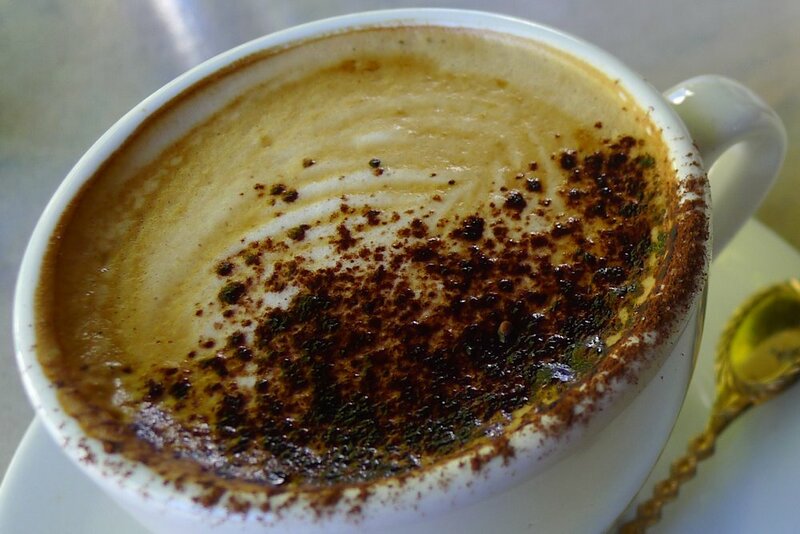 Sourced from nearby Gypsy Espresso, our cups were outstanding with strong flavours – we’ll definitely be back for more! Chez Dee has your fresh juice ($6.50) cravings sorted. Orange, apple, pineapple, watermelon, carrot, beetroot, ginger, mint or celery are available. 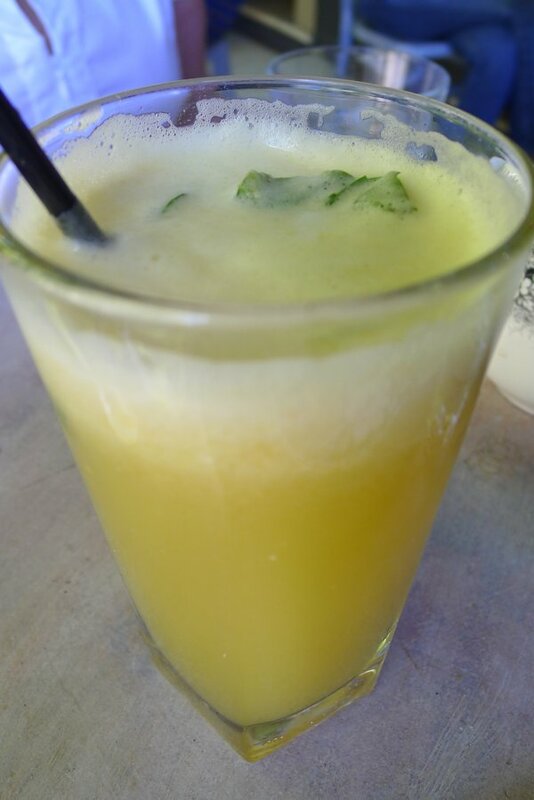 Our glass of pineapple and mint was big and refreshingly cold. 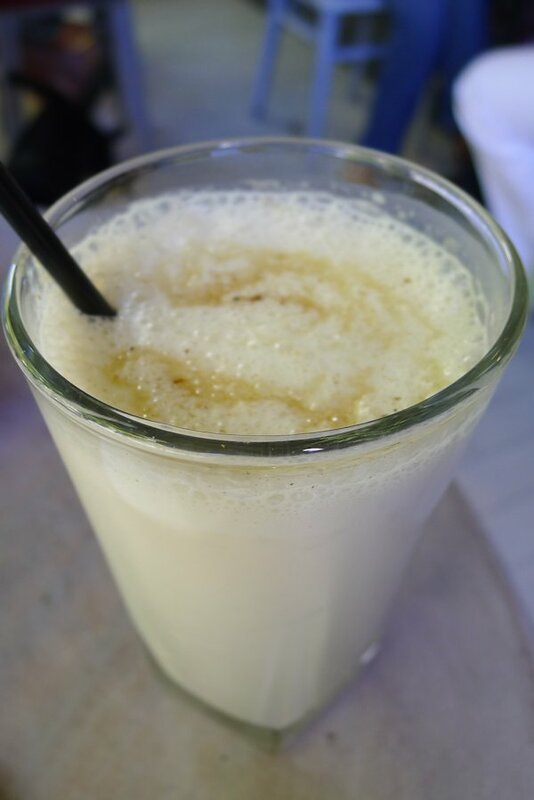 The smoothie ($6.50) menu has the classics but also something for the adventurous. Cocoa, honey & avocado or mixed berry & balsamic? I suggest trying before turning up your nose because if my banana, cinnamon, nutmeg and honey endeavour was anything to go by, they will be excellent. The nutmeg and cinnamon added a delightful twist to a banana smoothie with good consistency and plenty of fresh fruit. So the menu said that the fruit salad with mint and rosewater ($8) includes love and it certainly does! 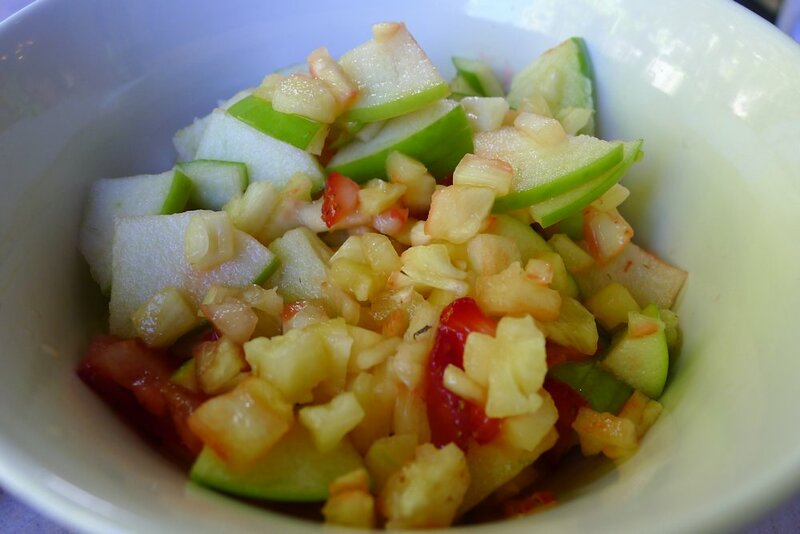 The pieces of apple, strawberry and pineapple had all been delicately cut so that every spoonful tasted like an entire salad! Some delicious yoghurt on the side cut through the sharpness of the pineapple. Unfortunately one of my guests managed to claim the final mouthful which contained the leftover juices and rosewater! 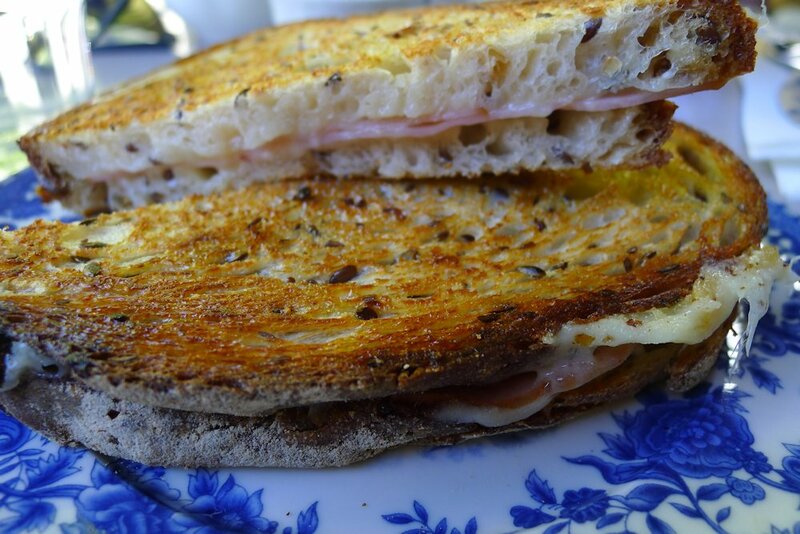 Now that Yellow has closed and the best Croque Madame in Sydney crown is up for grabs, it is apt that we sample the Croque Monsieur (Croque Madame is also available for breakfast, for $12.50). One of my favourite breakfasts of recent months. I was sold as soon as I read scrambled eggs with herring caviar ($16.50) on the menu. I added sides of goats cheese and salmon ($4 each). 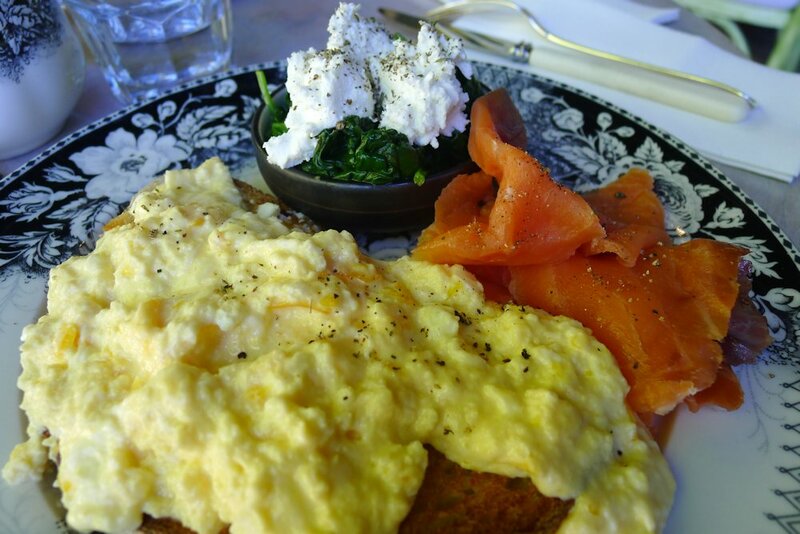 The scrambled egg alone was terrific – I think I may have to raid Chez Dee’s recipe book! The goats cheese was served atop wilted spinach. The salmon worked perfectly with the eggs and I was in flavour heaven with this dish. Unpretentious and warm best sums up the vibe here and I am looking forward to a return visit. Some other dishes to try would be the poached eggs with hollandaise and mushrooms ($15.50), poached eggs with smashed avocado, mint, feta and lime ($15.50) or a sandwich from the ever-changing lunch menu. This entry was posted in Sydney - CBD and tagged Dog friendly, Free range eggs, Fresh fruit and vegetable stores close by, Organic Options, Outdoor seating, Parking close by. Bookmark the permalink.